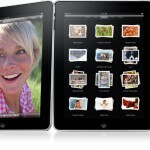 Last week, Apple introduced its much-anticipated tablet, the iPad. There was plenty of speculation before the fact of what it might be, but much of it turned out to be just that. Here is a brief rundown of what it is and, perhaps more importantly, what it isn’t. Think of the iPad as a larger iPhone, or iPod Touch, that can’t make phone calls. It uses the same OS as those devices and connects to the Internet via an available WiFi signal, and some models can connect to via 3G with an extra data plan from AT&T that that runs either $15 or $30 per month depending on how much capacity you need. The price range of the iPad is $500 - $830.